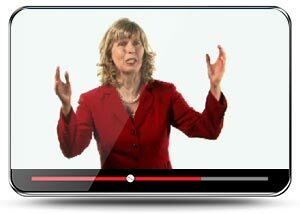 Take a fun, yet very educational, journey with Nancy Shugart as she defines the three powers that every successful person with a disability has learned to master. She has been down that road that many are just beginning to travel. Hear her personal story of struggle and triumph and the invaluable lessons that she has learned about succeeding with a disability. More importantly, learn how you, too, can align your dreams with your power and achieve your life’s dreams! 24 minutes. Open captioned with audio descriptor. This is great, but there’s still more! Get ready to pole vault over any barrier that tries to stand in your way. Align Your Dreams with Your Power is guaranteed to help you find the courage and motivation to achieve far more in school, work, and in life! and mother to 22-year-old Benjamin, a college student with lots of ‘power within’ who happens to have a disability. D. And much, much more! Learn about the triumph achieved once Nancy aligned her dreams with her power! Learn about an adorable service animal who came into Nancy’s life to help her adapt! Learn what Nancy has learned after traveling the road that many of you are about to travel! All of this and so much more in a very entertaining and fun program! Involved with disability policy and services at the local, state and national levels over the last 30 years. card mechanic, cheated Brad Pit in the 2009 movie Tree of Life, presently co-starring in a new stage show called Hoodwinked. Who Should Watch Align Your Dreams with Your Power? This program was primarily created for youth who have a disability. However, parents, teachers, and counselors should also view this DVD to learn what is truly possible for a person who has a disability. -Walter “Zaney” Blaney, (www.WalterBlaney.com) known throughout the world for his original magic inventions. His illusions have been used by Magic’s finest, David Copperfield, Lance Burton and Siegfried & Roy. I never would have completed high school, earned two college degrees, and become successfully employed had I not learned how to align my dreams with the three powers I describe in this DVD. We cannot take for granted that young people will learn how to align their dreams with their power without any intervention from us. During my youth, I wasted several years, nearly dropped out of high school, came very close to giving up on my dreams, but I discovered how to align my dreams with my power and then my whole world began to change. The bottom line is, every young person holds more power inside them than they ever begin to use. It is time we teach them how to align their dreams with their power. -Marion S. Wikholm, (www.BitterOrBetter.com) author, sit-up comedienne, inspirational humorist, and psychotherapist.